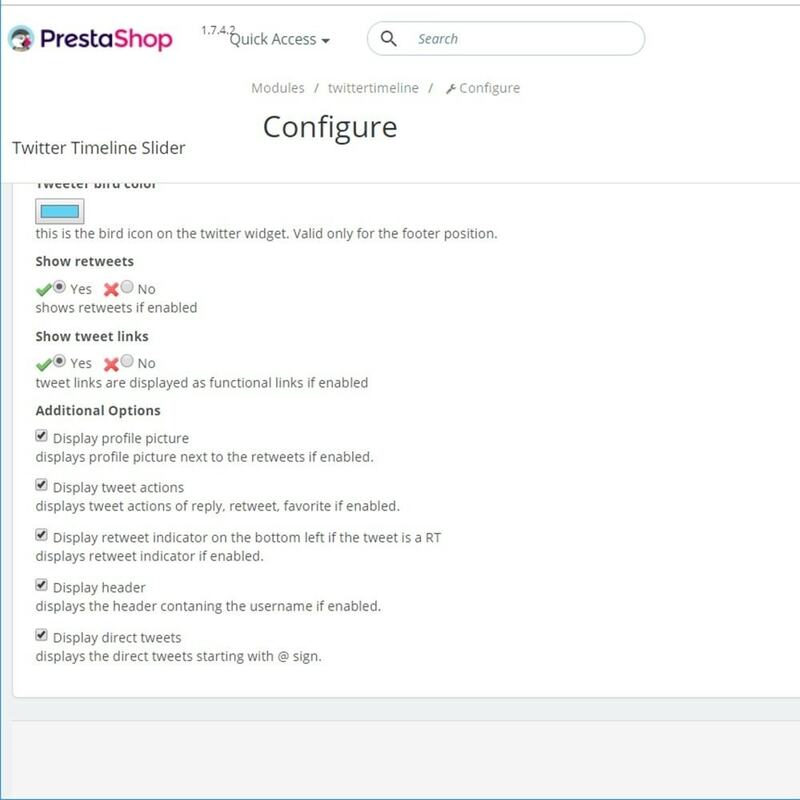 This is the only module in the Addons Store which slides the tweets. 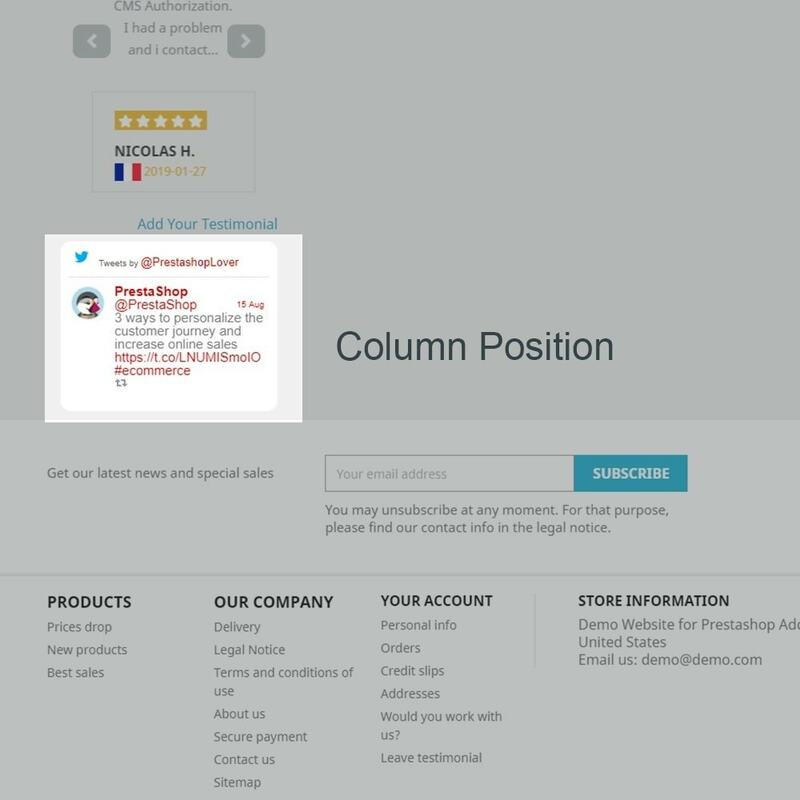 You can display your tweets sliding on your footer, homepage or columns. Plus, the interactive options are available like retweet, favorite, etc. The tweets are sliding automatically to the downwards direction. The tweet timeline is updated/refreshed periodically. 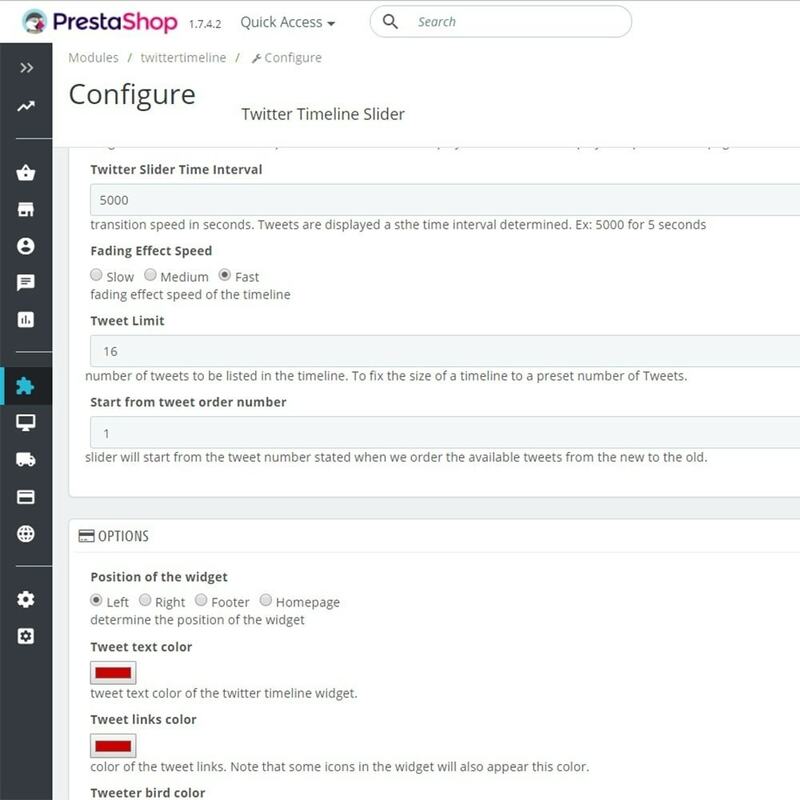 You can share your tweets with your customers automatically. You will be able to receive timely responses, retweets and you will increase your social visibility. 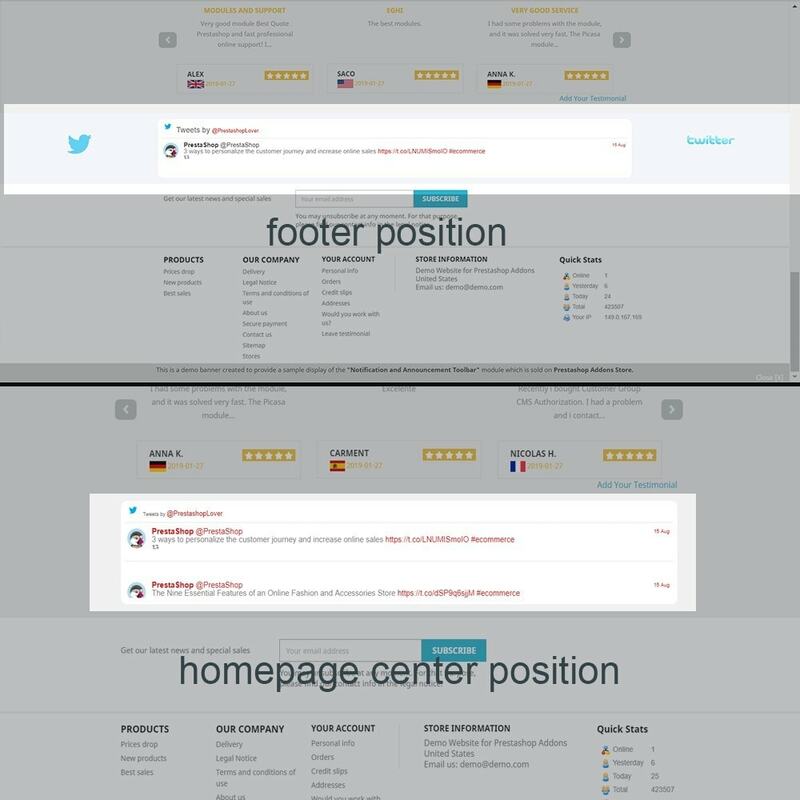 Tweets are displayed in an animated slider and/or carousel. 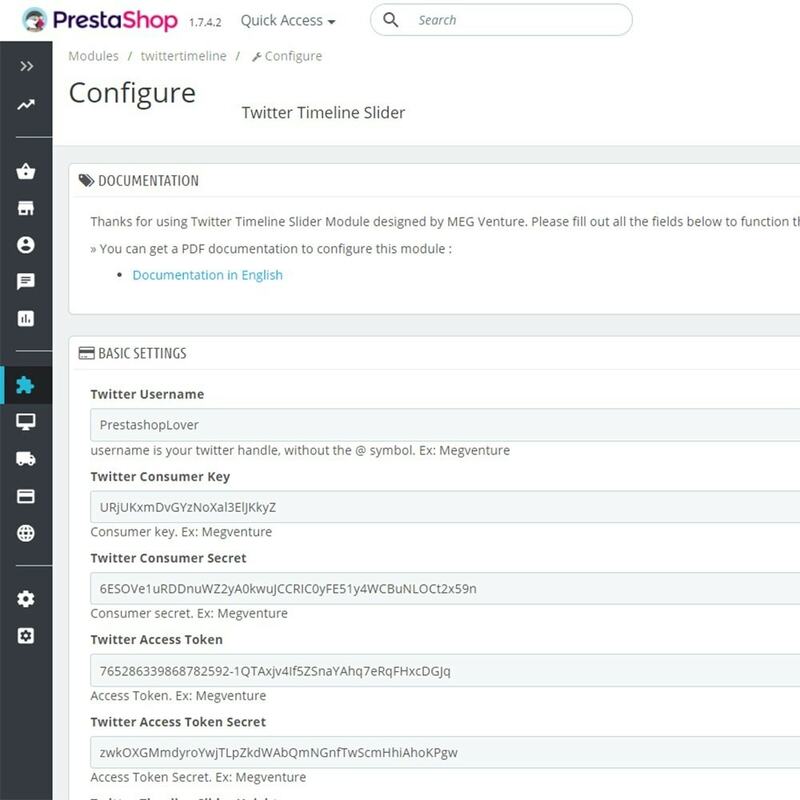 Customers will get impressed by the tweets and comments they read. They will have an idea of what and how you serve. They will know that they can even get a discount code if they'll be a loyal follower. Your products will be viral.